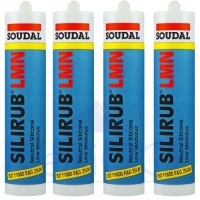 Amazing Product - Sticks & Seals! 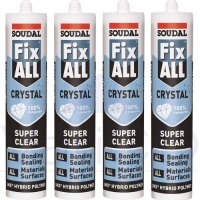 Soudal is one of the best trade silicones on the market. 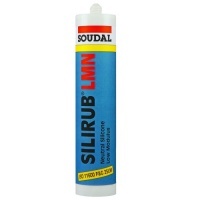 LMN or Low Modulus Neutral Cure Silicone is suitable for use with polycarbonate sheet and give you a flexible water tight seal. 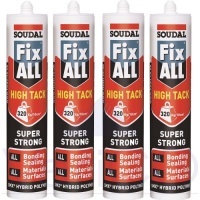 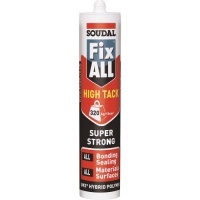 Soudal's Fix All range offers excellent adhesive strength and can also be used as a sealant, it uses polymer technology and is very easy to work with. 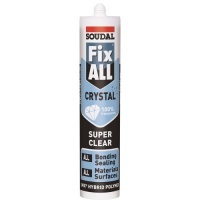 Fix All Crystal Clear is a fantastic product which not only offers all the benefits of the Fix All High Tack but it is 100% transparent once applied.